KARACHI: Pakistan Peoples Party (PPP) candidate Murad Ali Shah was on Thursday elected as the chief minister of Sindh, with greater number of votes and a larger margin of victory compared to the 2013 election for the CM’s office. Murad defeated the joint opposition’s nominee Shahryar Mahar, securing 97 votes against the latter’s 61 votes – a margin of 36 votes. In his maiden election to the CM’s office in 2016, Murad secured 88 votes against the opposition candidate who could get only three votes. He replaced PPP veteran Qaim Ali Shah, who was elected into office after the 2013 general election after winning 86 votes against 48 votes of the Mutahidda Qaumi Movement nominee and 18 of Pakistan Muslim League-Nawaz and Functional League joint nominee. 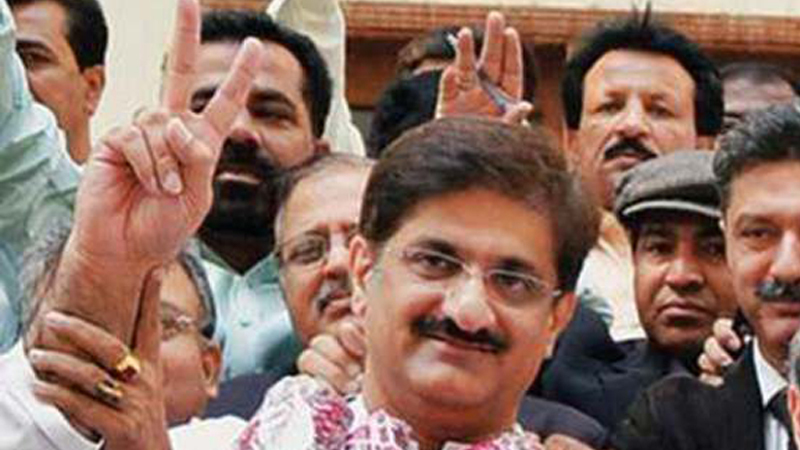 Murad became a member of the Sindh Assembly in the July 25 polls from PS-80 Jamshoro I. Earlier, he had served as a provincial minister for irrigation and finance in Qaim Ali Shah’s cabinet. The 55-year-old completed his matriculation from Saint Patrick’s High School, intermediate from DJ Sindh Government Science College and graduated as an engineer from NED University of Engineering and Technology. Later, he went to Stanford University in California for advanced studies. Refer to Page B1 for the detailed report on Murad Ali Shah’s inaugural speech.